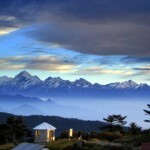 The Darjeeling region is a paradise for the honeymooners. Darjeeling, a land of natural beauty with picturesque tea plantation is idle for celebrating marriage. Darjeeling, which is situated 2123 m above sea level, popularly known as the Queen of the Hills, is the jewel in the crown of the East Himalayas and a perfect destination for honeymooners, nature-lovers, trekkers and holidayers. This is a honeymoon tour for couples who want privacy,seclusion and do not want to jostle with other tourists in common destinations. 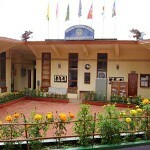 If you want a completly relaxed tour for you and your partner,Darjeeling is best . 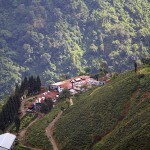 The natural beauty with picturesque tea plantation is idle for celebrating marriage. 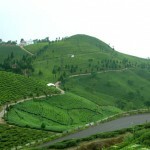 Darjeeling is world famous for tea and tea gardens. Darjeeling is located in the shadow of the mighty Kanchenjunga.Studded with exotic little bazaars, lovely villas, forests and gardens. Darjeeling also boasts of the quaintest Toy Train run by Darjeeling Himalayan Railways, which have been awarded world heritage status by UNESCO. The other major attractions of Darjeeling include the Lloyd Botanical Gardens, the Himalayan Mountaineering Institute, the Zoological Park and the Ropeway.One can get a clear view of the world’s third mightiest and highest mountainous snow peaks, Kanchenjunga, from the town on a sunny day. The world’s highest peak The Everest can also be seen from near the town. 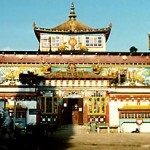 Darjeeling is a paradise for shopping and for connoisseurship of a kaleidoscope of Indian, Chinese and Tibetan cuisines. After experimenting for 8years, the british set up a railway in the hills of darjeeling. Darjeeling Steam Tramway Co came into existence. The trains began plying from siliguri to the hills of darjeeling through narrow winding mountain paths and thick forests.Sometimes the train would disappear in the forest.The lost, bewildered train seemingly in fright would loudly blow the whistle and running close by the edge of the tea estates and winding its way through the sal,china,cedar and teak trees would somehow find an opening and emerge. The train ascends at the higest point in ghoom.Then comes the amazing Batasia Loop.It is adventurous to ride this train.There are no tunnels along this route.This is also called Toy Train. This is a honeymoon tour for couples who want seclusion, privacy and do not want to jostle with other tourists in common destinations.If you want a completly relaxed tour for you and your partner, you would love it. Batasia Loop: A unique and marvellous feat of railway engineering of the 19th century, the Batasia loop provides a delightful view of the ‘toy’ train to Darjeelling as it winds its way around the loop. Ghoom: It is located 2247 m above sea level, which is famous for the beautiful Buddhist Monastery and the highest railway station in the world. The monastery houses many priceless Buddhist manuscripts and precious statue of the “coming” Buddha. 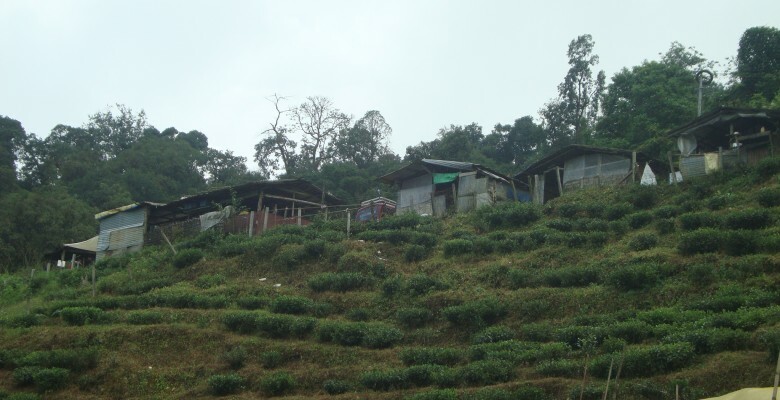 Happy Valley Tea Estate: One of the nearest tea gardens from Darjeeling town, here one can see the processing of the world-famous Darjeeling tea. Himalayan Mountaineering Institute: This institute was founded in 1954, to commemorate the first conquest of Mount Everest in 1953 by Tenzing Norgey and Edmund Hillary, which provided the impetus to mountaineering as an organized sport. Located on the Western spur of the Jawahar Parbat, the institute’s buildings command a magnificent view of the Kanchenjunga. The Museum in the main building contains many interesting exhibits including a detailed relief model of the Himalayas, costumes of the Himalayan hill-folk, a chronological history of the attempts to reach the peak, and flags and pennants planted on the peaks by climbing expeditions. 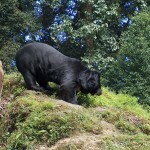 Himalayan Zoological Park: Located adjacent to the Himalayan Mountaineering Institute, this Zoological Park contains high altitude wildlife such as the Siberian tiger, Himalayan black bear, deer, panda, snow leopard and llama. The nature trail commencing near the Bears’ Enclosure is ideal for a pleasant stroll, as a wealth of bird life can be observed here. Lebong Race Courses: One of the smallest and highest racecourses in the world, races are held here during the spring and autumn seasons. 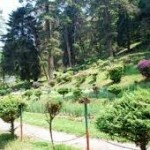 Lloyd’s Botanical Gardens: Located just below the main Market Motors Stand, this garden has a rare collection of Himalayan flora including alpine plants, geraniums, rhododendrons, tree ferns and various conifers. Opened in 1865, the Lloyds Botanical Garden is also one of the oldest Botanical Gardens in India. The Orchid House here has some unusual species of orchids. 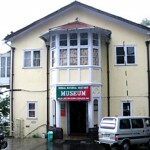 Natural History Museum: Located within walking disance from Darjeeling Mail, the Natural History Museum contains an interesting and comprehensive collection of mammals, birds, fishes, butterflies and reptiles of this region. Rangeet Valley Ropeway: India’s first passenger ropeway, a 30-minute joyride down the mountainside by cable car is quiets an experience. The Shrubbery: Shri A. L. Dias, the then governor of West Bengal, planned this beautiful rock garden on the Jawahar Parbat behind Raj Bhavan, in 1976. A magnificent view of the Kanchenjunga Range and Singla valley can be had from here. Shiliguri: “The gateway to north-eastern India” Shiliguri is the main transit point for Darjeeling, Kalimpang and the northeastern states. The busy and bustling Shiliguri city is surrounded by beautiful landscapes of tea gardens, Sal forests and the nearby hills. Tibetan Refugees self-Help Centre: Tibetan Refugees self-Help Centre is situated at a distance of 10 km. This refugee centre was established in 1959 to rehabilitate displaced Tibetans who had followed the Dalai Lama when he fled from Tibet to India. Tibetan men and women can be seen at work here, producing exquisite woollen carpets, shawls, jackets, leather coats and carved wooden furniture. Tiger Hill: Tiger Hill is situated at a distance of 11 km. 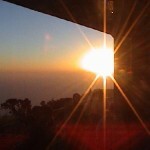 It is located 2573 m above sea level, offers a breathtaking view of sunrise over Mt. Everest and the Kanchendzonga. Tiger Hill provides an unforgettable view of the sunrise over the mighty peaks of Everest and Kanchenjunga. Tiger Hill is also the starting point for one-day treks through Himalayan mountain trails. 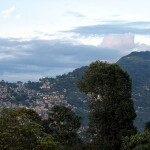 Kalimpong: Situated above 1243 mts. is a quieter destination, fabled for orchids, the rarest cacti and nurseries. A trip from Darjeeling to Kalimpong thereby enjoying the excellent view of the confluence of River Rangeet and River Teesta and also the view of the East Himalayas from several viewpoints provides an unforgettable experience. Since long days back Darjeeling, Karsiyang and Kalimpong have become popular destinations for running high standard residential schools. Mirik: It is the youngest hill station of India, is woven around a natural lake that reflects the majesty of the Himalayan range. Lava (218m), Lolaygaon (1516m), Samsing, Sukha, Kalijhora and Latpanchor are amongst the new destinations of tourist attraction. Mahanada Sanctuary: This sanctuary, consisting of mixed forest on the foothills of the Eastern Himalayas, was established in 1976. The altitude, ranging from 150 to 1300 metres, is reflected in the range of animals found here. Takdah: Takdak is situated around 26 km. Located at an altitude of 2000 metres, Takdah is famous for its orchid culture centre, run by the West Bengal Forest Development Corporation. Nearly 110 varieties of Himalayan and hybrid orchids are grown here. Sandakphu: A trek to Sandakphu from Darjeeling 58 km takes one through fragrant and enchanting forests of firs and conifers, rhododendrons, primulas and orchids of unusual and bewildering varieties. April-May is the best time to visit, as the green plateau will be covered with beautiful flowers. Home to nearly 600 species of birds, Sandakphu is also a birdwatcher’s paradise. Mungpo: The drive from Shiliguri to Mungpo 49 km is filled with beautiful scenery as high mountains rise majestically on either side of the rushing Tista River. The river beaches here are popular among picnickers. Mungpo also has a medicinal plants farm. Karsiyang: It is situated at a distance of 52 km. 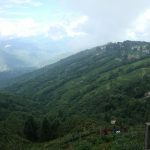 Karsiyang is located 1475 m above sea level, enroute to Darjeeling, is an excellent hill station with wonderful views of the Kanchendzonga range and the Balson valleys below. Though the vast expanse of countless mountains and valley regions flows the tempestuous River Teesta arousing in the viewers a mixed feeling of beauty and reverential fear. She also provides excellent water sports and adventure sports options like white-water rafting, canoeing and kayaking. Best time to visit: March to mid-June and from September to Mid-December. Temperature:8.5degree-18.5degree C in summer and 1degree – 11degree in winter. Air: The nearest airport is Bagdogra, 90 km from Darjeeling town, connecting Kolkata, Delhi and Guwahati. Road: Siliguri is the gateway to all these hill stations, as also to Sikkim, Bhutan and neighborhood country Nepal. Regular bus services and hired cars ply between Siliguri and these hill stations. Siliguri is connected with a large number of long-distance bus routes from Kolkata, Delhi, the Northeast and other parts of the country. 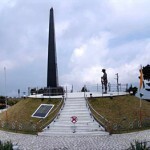 Day 01: Arrive Bagdogra airport or New Jalpaiguri train station and transfer to Darjeeling (94 kms/03 hrs). Night stay at Darjeeling. Day 03: Early Morning Excursion to Tiger Hill, Ghoom Monastery & Batasia Loop.Return to the Hotel. After breakfast at hotel go for Mirik Lake via Nepal Border. Rest of the day, Free at Leisure .Night stay in Darjeeling. Day 04: After breakfast check out from the Hotel & transfer to the Bagdogra airport/NJP railway station for your onward destination. 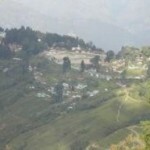 This entry was posted in Miscellaneous and tagged about darjeeling, Batasia Loop, best honeymoon spot, best honeymoon spot in india, best honeymoon spots, best honeymoon spots in, best honeymoon spots in india, cheap honeymoon spots, Darjeeling, darjeeling guide, darjeeling hill station, darjeeling himalayan, darjeeling information, darjeeling package tours, darjeeling photo, darjeeling photos, darjeeling tea garden, darjeeling tea gardens, darjeeling tour, darjeeling tourist spots, darjeeling tours, darjeeling travel, darjeeling vacation, good honeymoon spot, good honeymoon spots, honeymoon darjeeling, honeymoon spot, honeymoon spots, honeymoon spots in, honeymoon spots in the, honeymoon vacation spots, hot honeymoon spots, places to visit darjeeling, romantic honeymoon spots, top 10 honeymoon spots, top honeymoon spot, top honeymoon spots, top ten honeymoon spots, travel to darjeeling. Bookmark the permalink.